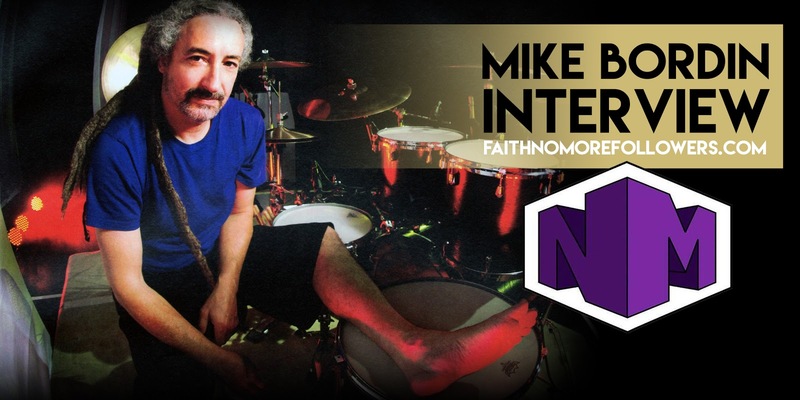 Mike Bordin talks to Nação da Música about We Care A Lot, the future of Faith No More and Rock in Rio. August 19th will be a special day for Faith No More fans. The band will reissue the first album of their career, 'We Care a Lot' from 1985, remastered and with several bonus tracks. Nation Music caught up with drummer Mike Bordin on the relaunch of 'We Care a Lot', their latest album 'Sol Invictus' and also about what the return of Faith No More to Rock In Rio 2015 meant to him and the band. The interview was conducted and translated by Veronica Stodolnik. Very well, thank you! It is interesting to go back and deal with this record, and get sort of inside of it, revisit it. It's been interesting. But good, thank you - I hope you're ok too! Everything is great, thanks for asking! You are about to re-launch your first album, 'We Care a Lot'. What was the motivation behind this reissue? Really there's a couple of them. There's some business involved, but personal also. The business element is this: that record's been out of print for 20 years. Literally, no one has put it out for 20 years. There's people out there that have taken illegitamate copies of it and made their own copies so they're putting it out and it's inferior. And that pissed us off. Because number one, they are not authorised to do so, and numve two it doesn't sound good. The second reason of the business is the simple fact that the woman that out that record out in the first place was really honest and she said "when we're done I'm gonna give it back to you" which in those days was unheard of, y'know? It was unheard of for the artsist to actually control their music. Now it happens a little more.Madonna was the first to one to have her own label like that. I mean, Led Zeppelin did it back in the day. It is more common now for the artist to get their music back. So we have that music and we have the tapes. So our bass player was able to go and mix four songs now with his experience with Matt Wallace's experience, he was able to mix that in modern technology, and make it sound amazing. We a good here opportunity to ... How can I say? To contribute something to it. We have the original album in the package, and on the other disc four songs mixed in a modern style from the orignal tapes, and some live shows that I own that nobody has ever heard, by far the earliest recorded Faith No more that's gonna come out. It really good, it's a nice package, to explain to people where we at at that time. I hope that's the best answer, I hope I didn't forgotten anything. We really into doing studff like that if there's no reason to do it, but to me and all of us there's lot of really good reasons to do it. The remixed songs, they sound fantastic. That's what I'm most excited about, the remixes that Bill and Matt Wallace did. They really sound good. We really never expected it, I was pretty happy playing with Ozzy, you know? And I think everyone else clearly had been doing their stuff. We decided we would do some shows, and the shows felt good, we did some more. And when we did some more shows we realised that was going to have to either be, that's enough and be done with nostalgia, or we 're gonna have to have something that's worthwhile saying to go into the future. We felt that playing shows, doing what we done in the past, that's fine but you can only go so far with that, and were'nt gonna become a nostalgic act, or whatever it is you call it. So that's where the record came in. It was fun to do, we enjoyed it, it was pretty rewarding for all of us; emotionally, musically, personally, creatively, all that. It was a good experience for all of us. Then we did some shows on the record, and that felt good too. That's where we are now.The short answer is that we took it one step at a time. We didn't do too much, and we felt that as we did things each step on the way, if we did'nt like, we all agreed that we would stop. It felt really good to make new music and it felt really good to play onstage with each other. This a little different because right now we are not doing anything, we are between things with Faith No More, whatever we will do in the future is the future, this is just an oppertunity we had to treat this record with some respect, because we have the master tape. We have the master tape so were able to take great care with this record; that was the oppertunity we had. I never expected we would do so many things, I expected the band would get back together again. But it's awesome, we get along super great now. It is important for me to say to that while we are talking about FNM's debut album, which came out in 1985, it is important for me to saythat Mike Patton is the lead singer of Faith No More today and tomorrow; this is not changing that. But it's also important for people, if they want to, to be able to sort of hear what we were up to on our very first record as we were figuring out who we were. It is a nice piece of the puzzle for peopel who know who we are now to maybe see where we came from. Tha's the best way to describe it; it describes where we came from. 'Sol Invictus' was very well received by the fans, and critics alike. When you decided to release a new album, did you anticipate that it would do so well? I gotta be honest. As far as in the public there's now way of knowing. You can never predict that. But we love this record. We worked for a couple of years on it, and we really felt that it was exactly what we wanted to do. You hope that it does well, but it's like when you prepare that meal for the people you really care about. And you put it on the table, you say "I've done everything I can do , I've the best I could." But then they gotta eat it, and if they don't like it, they don't like it, you know? You just can't predict that. And Faith No More has never been a band to predict that or tried to tailor their music to what they think people would like. To us that's death. That's why we never did a 'We Care A Lot' after 'We Care A Lot'. We never did 'Epic' after 'Epic'. We never did 'Midlife Crisis' after. You go down the line and the songs, and the songs that people remember, we just have one of those. We never tried to duplicate that. It humbling, I'm very grateful and very thankful that people responded well to it. We put everything we have into it, and when you that you certainly hope that people repsond to it. Will this help to at least motivate you to maybe release a new album sooner? My opinion, and I'm not basing it on any conversation with the band, yeah I would love to. I think it would be great, because we have proved to ourselves that we can make music in 2015 that's worthwhile. To our standards, to people in the world, that's useful to them. I would hope so, but I don't have any inside information to tell you that we're doing this or that. But having said that, we're all in contact and talk to each other, no one is going anywhere, we are all good. 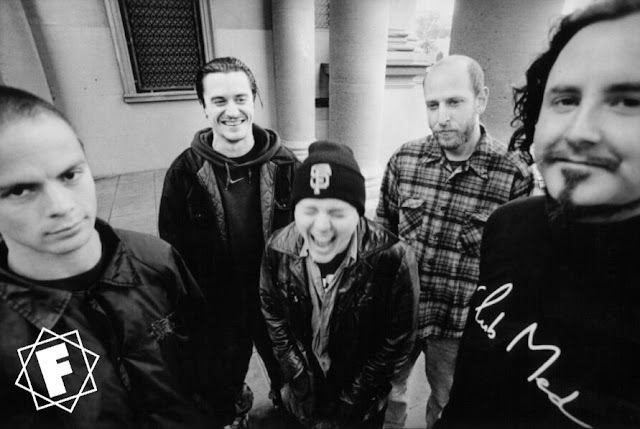 Mike Patton, Roddy, Bill, myself, and Jon, we're all good. And if comes time to do that then I hope we do yes. Bill was at the Metal Hammer awards in London a couple of weeks ago, and he said the exact same thing. He said when we have something new to say, we're gonna say it. Until then, we're not gonna waste everyone's time rehashing the past. When we have something new to say, we will say it. And that's the best you can hope for. The band was formed in 1979, almost 40 years ago. A little after that, i'm thinking 82, maybe? So you experienced everything from cassette tapes to CDs, Napster, the explosion of social networks ... How has this journey been? You have seen it all! If you think about it in those terms, it makes you tired. It's like, wow so many miles, so much happened. When you think about the big moments,records left and CDs came along they were the biggest thing. We were onstage in Berlin when the night the wall came down, which is pretty crazy. All those things in between, what a journey. What an incredible experience. But the one thing that has remained consistant with us is that we give you our best. Musically, on stage, and also on records. We give you our best; we really don't want to waste our own time or anybody else's time by fooling around and not giving you our best. So I think those years that have gone, 35 or whatever it is, hopefully we've gotten a little bit better at what we do. Hopefully we got a little more proficiant and skilled at what we do. And it's not diminished my love for playing in Faith No More or making music a bit. If anything I love it now more than I did even then. I feel that we've really done it right, we haven't done too many horrible things we cringe about looking back. I feel that we've given the our best, and that's all you can hope for, that you have given your. And after that if people appreciate it, that's awesome. If people don't appreciate it that's okay too. But yes, you're right - CDs, tapes and albums to MP3 and streaming, it's really changed. But I would hopefully say Faith No More are really honest, and we give you passionate music from our hearts. That's what we do. Faith No More is known to have influenced many of the great artists of our generation. Nirvana, Slipknot, Metallica and Guns N 'Roses are just some of the bands that have mentioned the importance and influence that the band had on them. How do you feel knowing that you are such an important part of musical heritage? I don't think about it. I mean, any of those bands you mentioned, I consider myself honored to have seen them play and known them a little bit. If we're amongst our peers we're in a good place. No band has ever been influenced by just one band, to say that Faith No More has done that is like maybe not. We're all out there kind of swimming around, and if I swim a certain way and someone sees and wants to swim like that it's fine. But you know, we are all influenced by somebody. It's like this nonsense that's going on in America now with the politics. Dude, everybody's from somewhere. Everyone comes from somewhere, get over yourselves, lets work together here. There's so many great bands that influenced Faith No More. We take something that inspired us and nail it together in a way that that people didn't expect, and that might influence somebody else to nail together something, that's awesome. That's the beauty of music, that's way bigger than somebody with a name like me or the name of any band. That's way bigger than people. That is the continuum, the timeline where Jimi Hendrix got influenced by Robert Johnson, and Stevie Ray Vaughan got influenced by Jimi Hendrix. It is step by step, and that's what's awesome about it. 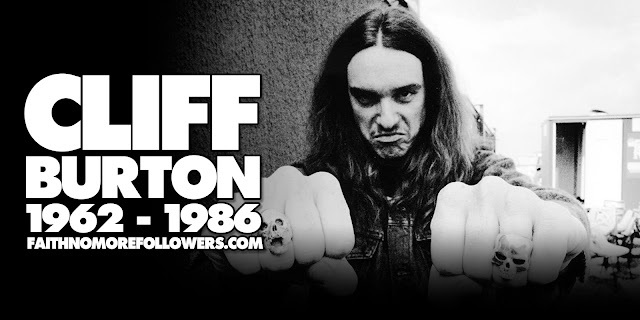 Faith No More was influenced by Killing Joke, I was influenced by Black Sabbath and Hendrix. Our bass player was influenced by everything from The Germs to The Buzzcocks, and we were all influenced by Run-D.M.C, and we listened to a ton of dancehall dub reggae like Yellowman and Burning Spear. There is so much music out there, eveyone's influenced by something. Then you talk about Mike Patton, and my God what hasn't influenced him! But that's the way it should be. If someone says I influenced them, I don't take it personally. If someone says my band influenced them, I say "thank you, it's an honor. Do something good and influence somebody else. Pass it along." I try not to take any of that too seriously because you get an ego and get weird. Faith No More is not an ego band, I'm sure you can already tell that . We make fun of ourselves just as much as we make passionate music. We try to be honest, and I really mean that. The rockstar myth to us it doesn't apply, that's not what it's about. What next for Faith No More? Do you have something planned after the album's re-release? That's a good question. Right now we don't. Right now we are clearing our heads and doing other things. With us, in this age, at this time it's really important. We're not gonna take people's time up until we have something to say. Will it happen? I think it will. I do think it will happen, but I can't tell you when. But I can tell you this: Mike Patton's the singer of Faith No More, and I feel weird going back to do something that he is not involved in. It makes me a little uncomfortable because he is the face of this band. So for us, we are doing this now, and it's important to get the people who are interested to show them where we came from. But as to where we are going, it's the lineup you saw last at Rock in Rio, that hasn't changed and is not going to change. And so what we do in the future? I don't know, but we will do something; I believe it. Stay tuned! Do you have any message you want to leave the Brazilian fans? When I thought about talking to people in Brazil, I have to say that the experience we had at the very last Rock in Rio was really amazing to me because it was 25 or 30 years after we had done the one with Guns N 'Roses and Billy Idol. And now we're here playing with Slipknot, who were headlining and all these younger bands. And for us to be welcomed back by the peole who were at that show maybe there were people who were at the first one with Guns N 'Roses, maybe it's their children now. For us to be welcomed with younger bands really meant a lot to me. From the bottom of my heart, thank you for doing that. Thank you for keeping us in your hearts. Modern bands, my God. What is going on in the world today, whether it is in hip hop, or something like Avenged Sevenfold or Slipknot, the ultra heavy stuff, to keep us in their heart and give us so much love is amazing and it's a huge gift. I really want to say from the bottom of my heart, thank you so much for this.That's my message. This means everything to me. And the fact that our singer didn't paralyse and cripple himself and die jumping off the stage. My God, he was hurt. But it was special; it's a special place, it's always been special to us. To be welcomed and clearly it wasn't our show, it was Slipknot''s show, one of the biggest bands right now. That's what I want to say thank you.